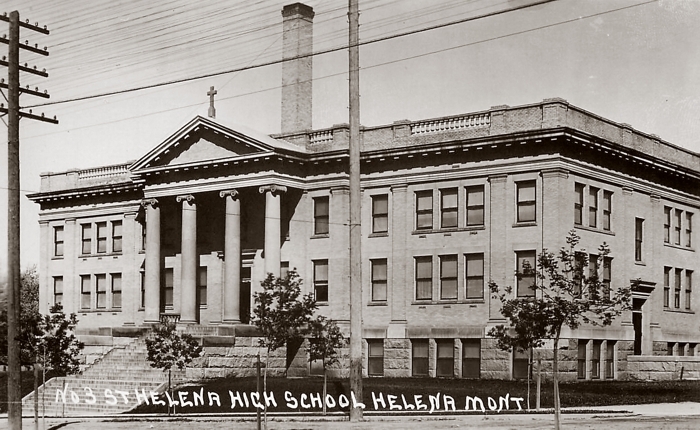 The St. Helena Grade School on N. Warren, adjacent to St. Helena Cathedral. It was contracted in 1908 by Bishop John Carroll, and designed by architect Von Herbulis, who also designed the Cathedral. 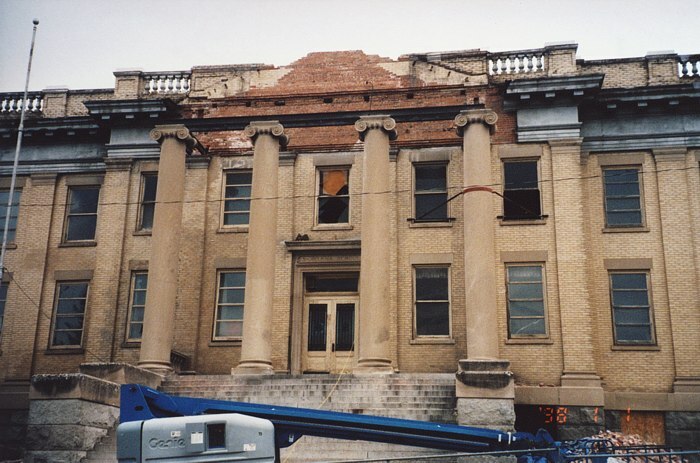 In 2002, the Helena Diocese announced its intention to demolish the historic but long-vacant neoclassical building. 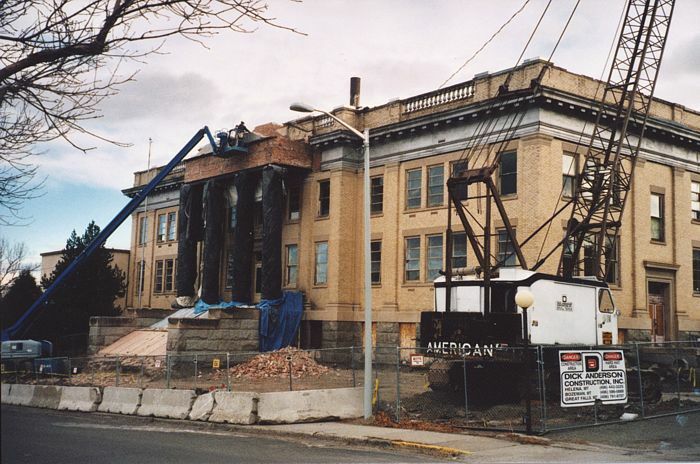 That same year, the school appeared on the Montana Preservation Alliances list of Most Endangered Places. 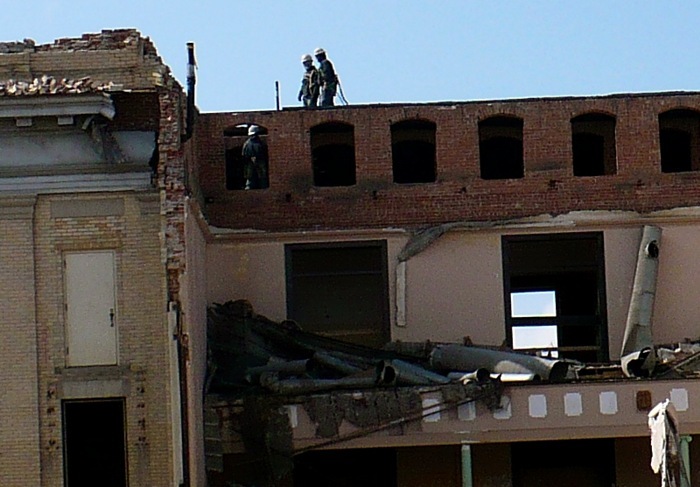 Demolition of the building began in December of 2007. 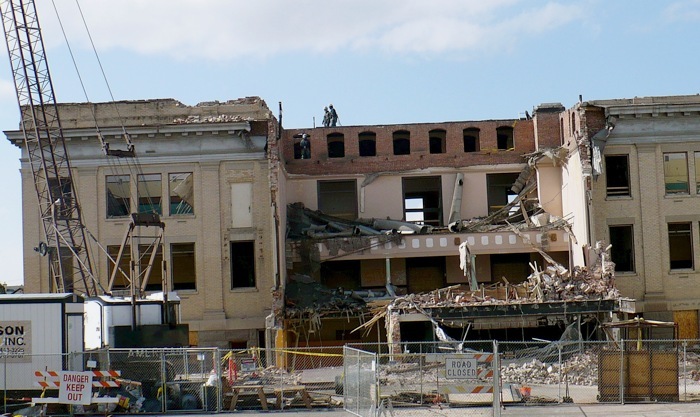 On March 7 2008, the Independent Record published a story about the final phase of the demoliton. 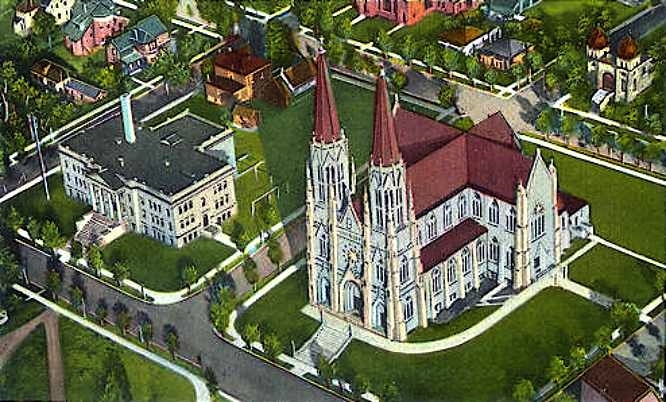 Monsignor Victor Day, rector of the cathedral, dedicated the school on Sept. 7, 1909. The Sisters of Charity of Leavenworth staffed the school and classes began the next day. The building served as a grade school until 1936. At the time, girls attended high school at St. Vincents Academy while boys attended Mount St. Charles High School. 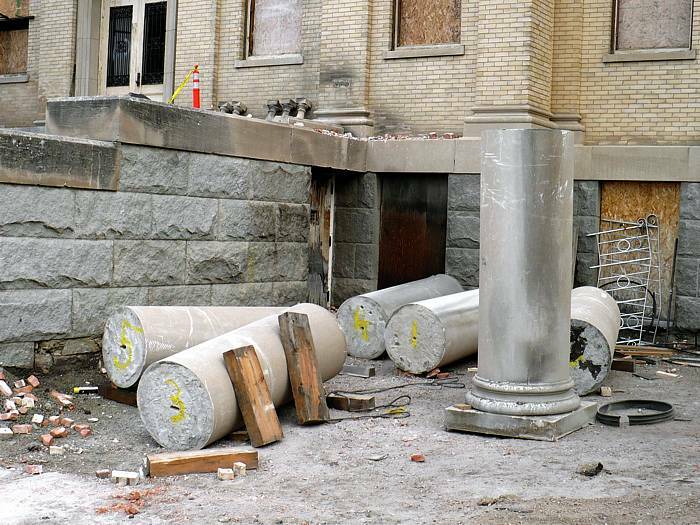 But a 1935 earthquake damaged St. Vincents Academy beyond repair. The Rev. James Tougas, the rector of the cathedral, made room at St. Helena School for the displaced students. 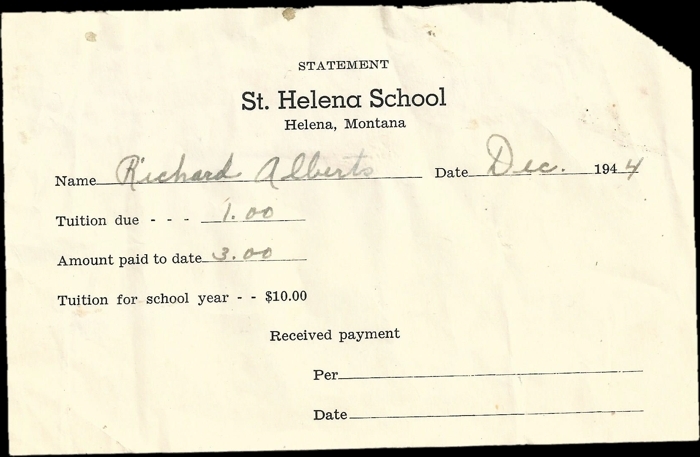 At a 1936 Carroll College commencement, Bishop Joseph Gilmore announced that a co-educational high school would move into St. Helena School. The grade school was remodeled and Cathedral High School opened. For the next 18 years the grade school and high school students shared the same building. 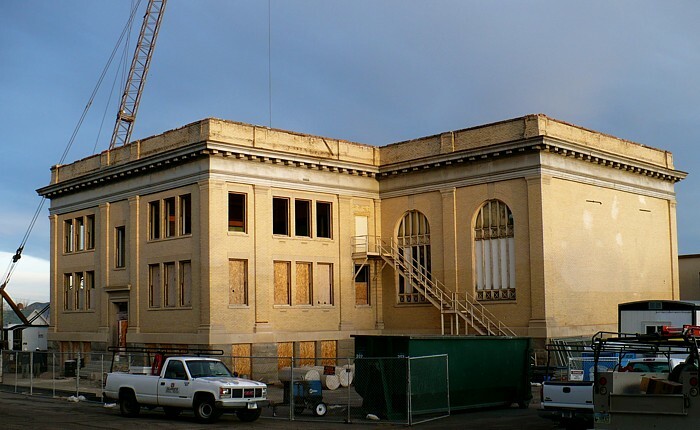 But in 1954, as high school students outgrew the building, construction began on Helena Central High School  the building that now lines 11th Avenue and stands attached to St. Helena School. 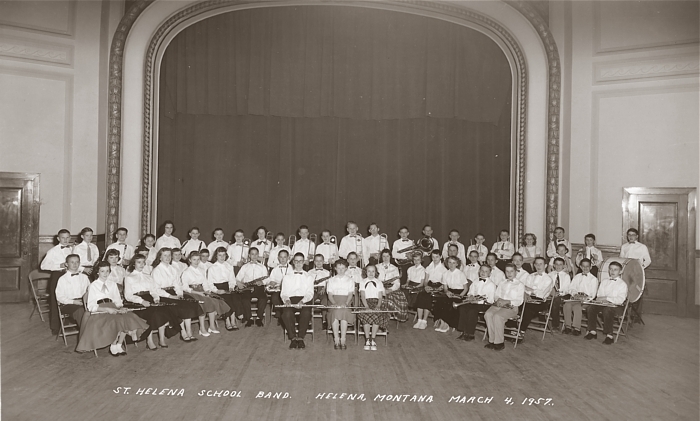 The name St. Helena School was changed in the 1960s to Bishop Gilmore School. But in 1969, Bishop Raymond Hunthausen announced that both Helena Central High School and Bishop Gilmore School would close at the end of the 1969 school year. 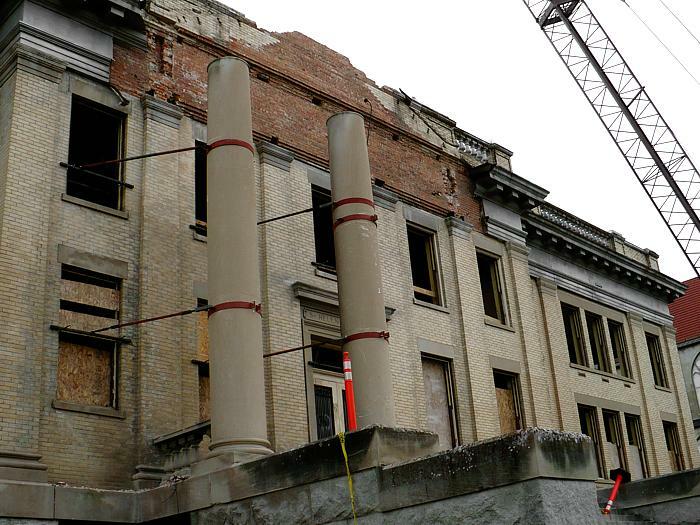 Hunthausen cited increasing financial difficulties as the major reason. 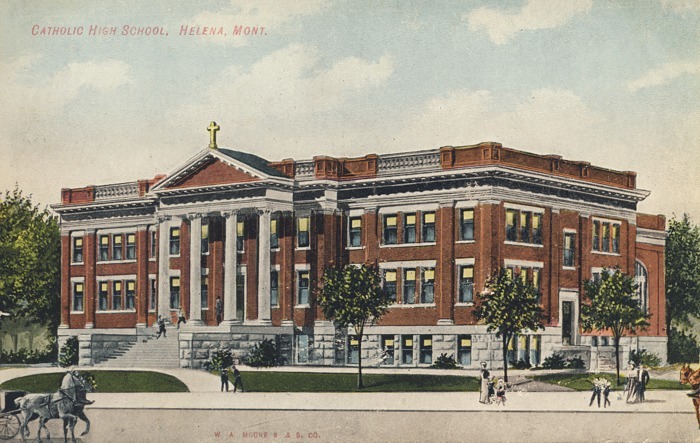 Helena Central High School now houses the Cathedral of St. Helena Parish, while the Bishop Gilmore School has sat empty for more than 20 years, its future riding on a decision by the parish. proceeds at a slow pace. 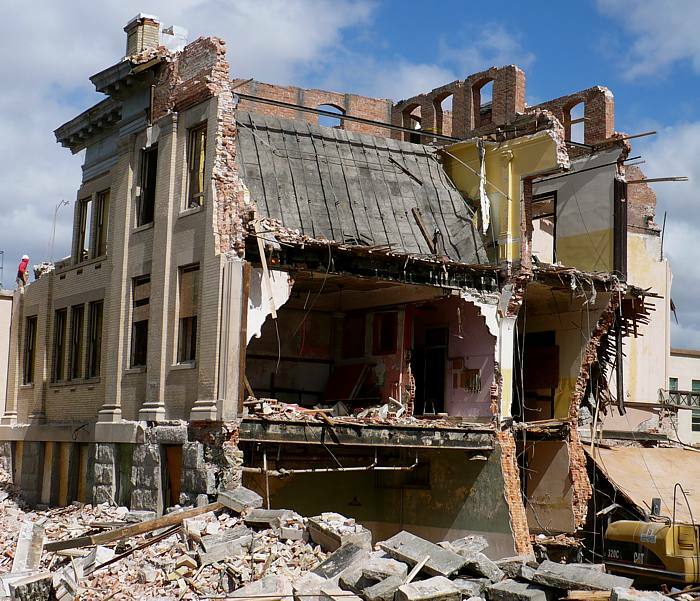 They started the real destruction on the east side. The walls appear to be thick and stout. 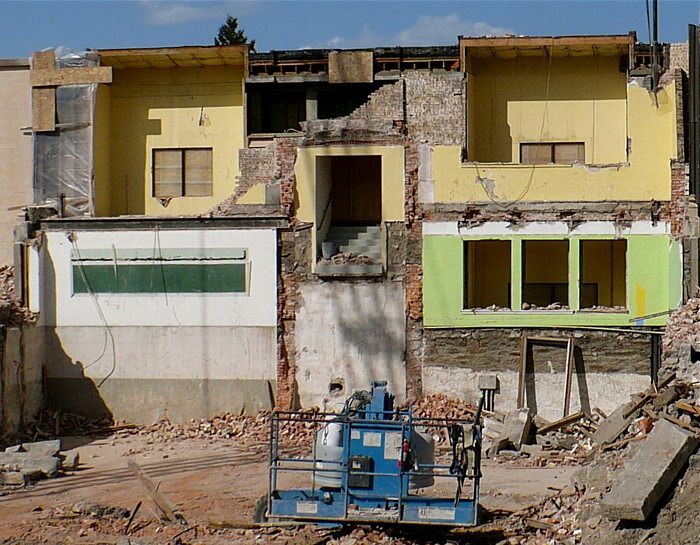 Real brick construction, not just brick facing." 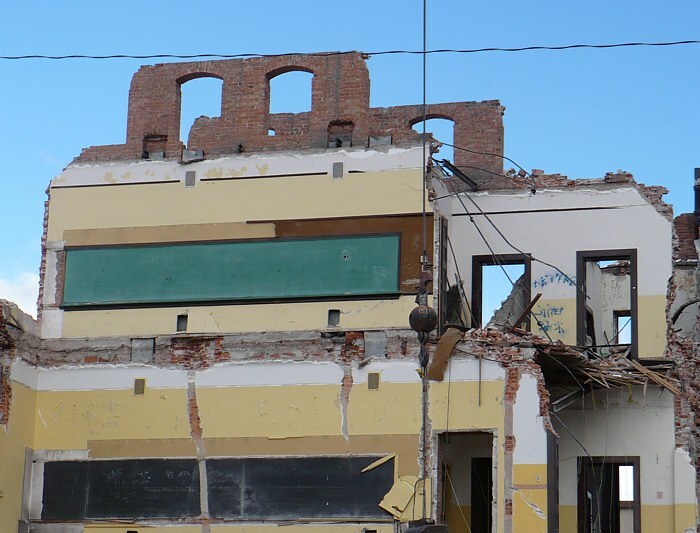 Many thanks to Tom for these evocative photos of St. Helena's last days. 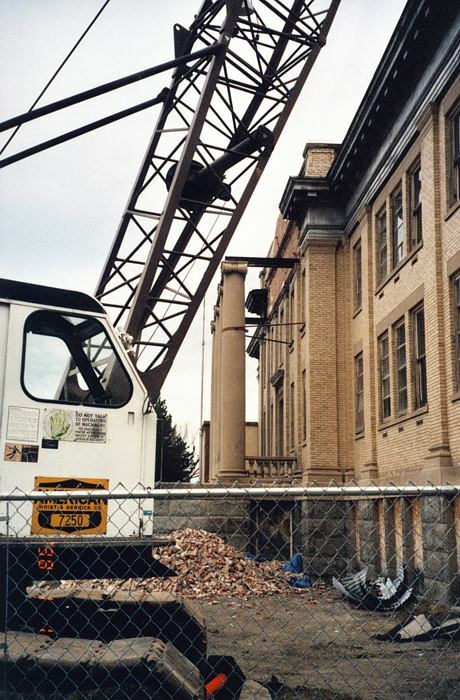 On Tuesdsay April 8, 2008, workmen opened the cornerstone of St. Helena School, and retrieved the copper box pictured above. 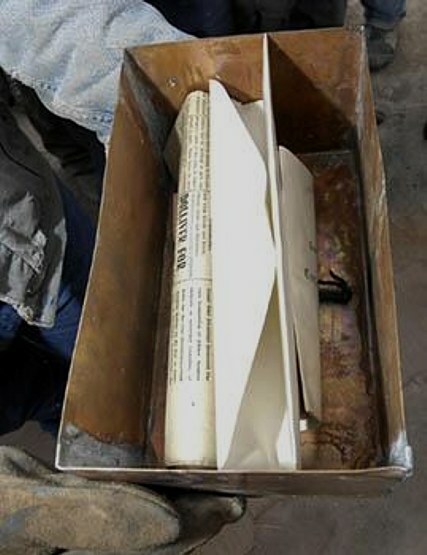 It had been sealed since June of 1908. Independent Record reporter Martin J. Kidston covered the event. Read the story in the IR archives. Thanks to Judy Bakke for the heads-up about the article. 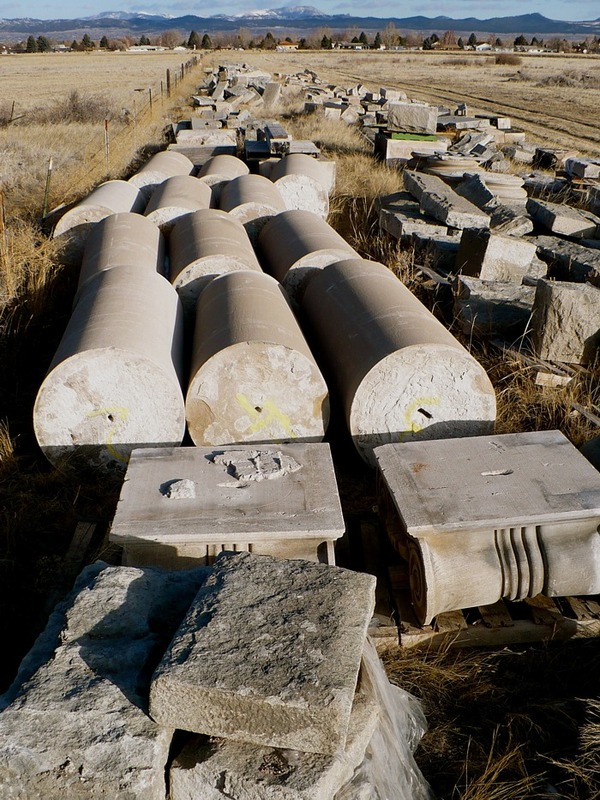 The columns and other stonework from the school have been placed in a field east of Resurrection Cemetery.